Jordan Ingram reporting for FishDuck.com on today’s head coach news conference in Dallas, TX. One more day and history will be made. Tomorrow is the 2015 College Football Playoff National Championship presented by AT&T, a national championship that has historical significance for not only Oregon and Ohio State, two schools that share an interesting past, but also for the sport of college football. 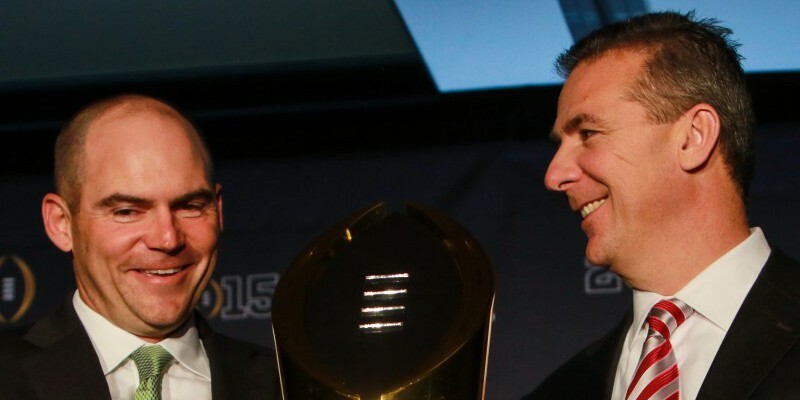 Oregon head coach Mark Helfrich and Ohio State head coach Urban Meyer held what may be their final pre-game press conference in Dallas this morning. Both coaches had the opportunity to share their thoughts on what could be the biggest national sporting event short of the NFL’s Super Bowl. Meyer is no stranger to CFB’s grand stage, having won two national titles at Florida. But Meyer made it clear that this particular game has special significance for two reasons: he’s an Ohioan and he holds the highest respect for Oregon and Mark Helfrich, a program he has admittedly studied and emulated for years. “We have worked very hard on it, and I think the culture that Oregon has created is something I’ve studied in great detail, and I say culture because that’s what it is. Ohio State has this culture and so does Oregon and so do all the great programs. 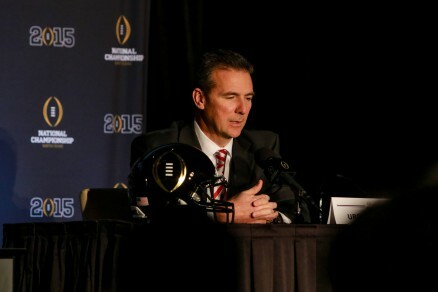 Programs without culture, that’s when you start to see failure,” Meyer said. 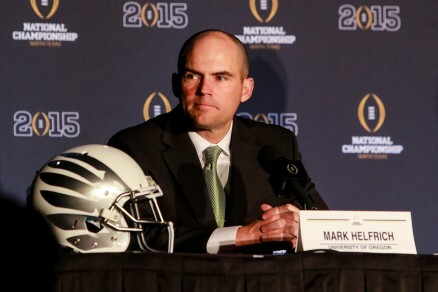 For Oregon’s Helfrich, this will be his first time as head coach under the brightest lights, a chance to deliver the goods with a national title hungry team, school and fan base. Helfrich has steadily navigated Oregon’s flashy football barge through the endless gales and squalls that come with college athletics, keeping his players and staff focused amidst a flurry of distractions. Both teams seem to be ready. So, what are the Buckeyes concerned about tomorrow? “…Our number one concern is their quarterback,” Meyer said.